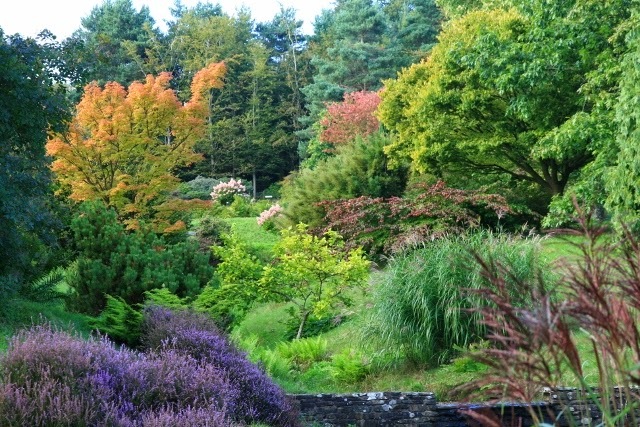 Early Autumn is bringing a taste of the spectacular colour to look forward to. The acers are starting to turn yellow, orange and red. 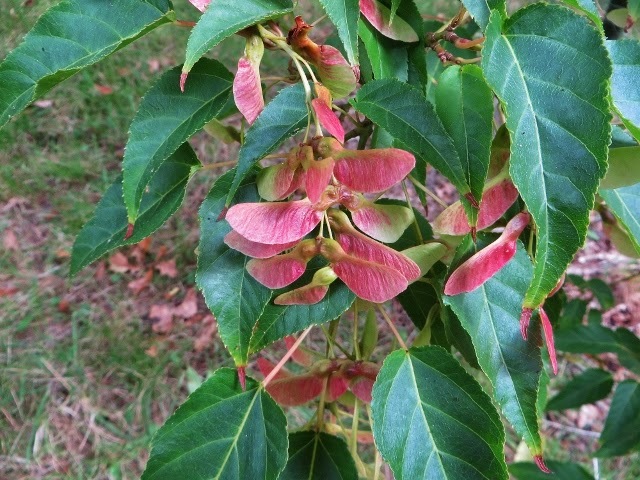 The liquidambers and parrotias are already showing signs of colour. The grasses are looking good too. It is the time of year for berries and seed and this is a particularly good year. 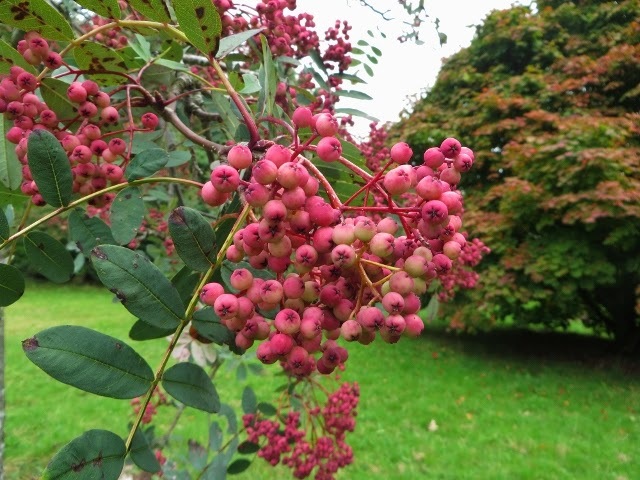 Sorbus hupehensis is covered in bright pink berries. A Rowan native to central and western China. It was discovered by Ernest Wilson in 1910. Acer caudatifolium, a beautiful snake bark maple from Taiwan. 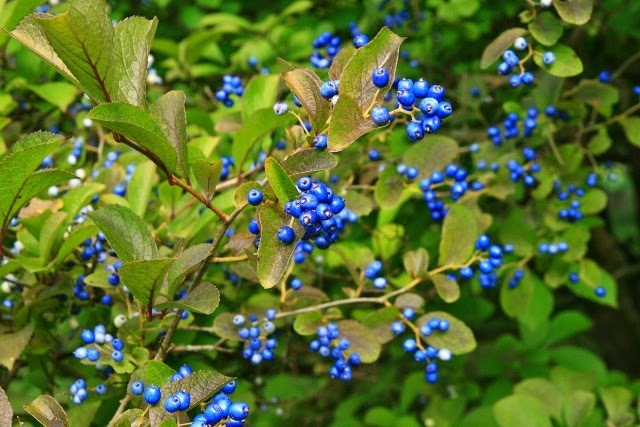 Symplocos paniculata a delightful deciduous shrub with white, fragrant flowers in June and bright blue fruits in autumn. A native of China, Himalaya and Japan. First introduced to the USA in 1871 and then to England.